Denver CO Bus Accident Lawyer - The Law Office Of Richard J. Banta, P.C. City Bus Accidents: Who is Liable for Personal Injury in an Auto Accident? Do you need a Denver CO bus accident lawyer? Get in touch with The Law Office of Richard Banta, P.C., to get started. There are numerous questions that come into play with bus accidents, and we’re here to help answer them. Riding a city bus is a great way to get around town in large metropolitan areas where traffic and congestion are abundant. City buses are cost effective for riders and they allow for less vehicles on the road. Fewer vehicles can reduce smog and improve a city’s air quality. However, as with any other moving vehicle, there is a risk of being in an accident while riding a bus. It can be argued that it is even more of a risk due to the fact that operating a city bus requires special training as it is a more difficult and cumbersome vehicle to operate, especially in traffic. If you or someone you care about sustained an injury in a bus accident, consider contacting a Denver Colorado bus accident lawyer. A bus accident lawyer in Denver CO from the Law Office of Richard J. Banta, P.C. can help you recover your damages from those responsible. The bus driver. The operator of the city bus may be held liable as a negligent driver if it is determined that he or she was not operating the vehicle to the best of their availability. This may include not practicing safety driving procedures, being intoxicated or exhausted on the job, or road rage. A third party driver. There are instances when a personal vehicle may be liable for any injury, damage, or death that may occur if the driver was not practicing safe driving and following the laws of the road. If it is determined that the driver of a third party vehicle was the reason for the accident, he or she could be liable for damages. The city or municipality. A city often manages and maintains the buses as well as determines the location of bus stops. Should there be a mechanical issue, such as if the vehicle was not maintained, the entity responsible for maintaining it may be considered liable. For example, inspecting and replacing the brake pads on buses is a critically necessary maintenance issue. If this is not done, the city may be at fault if that is what caused the accident. The bus manufacturer. While not as common, there may be instances where a manufacturer installed a defective part. If this mechanical part plays a direct role in the cause of the accident, then the manufacturer may be held liable. When you hire a Denver Colorado bus accident lawyer, this may be an aspect of the liability claim they include when holding various parties responsible. In many cases, victims may qualify to file a personal injury claim to receive compensation from however many parties were at fault for their injury. In cases of a fatal accident, a wrongful death suit can be filed if the at-fault parties do not agree to a settlement. For example, a combination of city responsibility for a poorly placed bus stop, driver negligence, and a third party driver may all be held accountable in multiple injury claims. Your Denver CO bus accident lawyer will be able to identify who should be named as responsible after reviewing the details of your case. If you or a loved one was involved in a city bus accident and believe you may be entitled to some form of compensation as a result, do not hesitate to speak to a Denver CO bus accident lawyer. We can answer your questions and provide you with the guidance you need to move forward. As an experienced bus accident lawyer Denver CO victims trust, Richard J. Banta of the Law Office of Richard J. Banta, P.C. has helped many people recover maximum compensation for their damages. Could I Be Responsible for Another Driver’s Negligence? If you own a vehicle, it’s possible to be held liable for a car accident even if you weren’t driving your car at the time. If another person operates your vehicle and causes an accident, you, as the vehicle owner, could be held responsible for property damage and personal injuries that occur. For many vehicle owners, this comes as quite a shock. If this person got in an accident with a bus, the situation could get complicated. Contact a Denver CO Bus accident lawyer with any questions. The concept of imputed negligence states that the responsibility of an accident can shift from one person to another person in certain circumstances. This doctrine may be applicable in car accident cases. If you are a parent and you allow your child to drive your vehicle, you automatically agree to take responsibility if they cause a crash. This means you might be responsible for compensating victims for medical expenses, lost wages, and psychological trauma (usually through your own insurance policy). With bus accidents, those numbers can get quite high, and you may need a Denver CO bus accident lawyer to explain. Negligent Entrustment: According to the negligent entrustment doctrine, if one party (the entrustor) knowingly gives another party (the entrustee) permission to drive a vehicle, the entrustor will take responsibility for the negligent behavior. In car accidents, the parent becomes the entrustor while the inexperienced, reckless, unlicensed, or incompetent child is the entrustee. Family Purpose Doctrine: This principle holds the car owner, who is the parent, liable for the child’s carelessness — even if the child did not have the parent’s approval to drive the car. Should the parents sign the minor’s driving license application, the signatory will automatically become legally answerable for the child’s negligent driving. When an employee causes an accident in a company vehicle, their employer might become liable for the auto accident damages. This is particularly applicable if the employer authorized the employee to use the car for work-related duties. For this reason, many employers take great pains to check a job applicant’s driving history before hiring them to operate a company vehicle. If an employee didn’t have a valid license or wasn’t operating the vehicle with the employer’s consent, liability might remain with the employee. In these situations, it’s possible an employee was driving a bus instead of a regular car on behalf of the employer. A bus accident lawyer Denver CO citizens trust can help sort through these problems. As a good Denver CO bus accident lawyer can tell you, lending your car to another person means that you are willing to accept liability for any accident damages that this driver causes. The law requires no evidence of the relationship between the motorist and car owner. Instead, the proof of authorization by the person in whose name the vehicle is registered is adequate. In some regions, operating a bus requires a special license. If the driver doesn’t have it, he or she may be unfit. Call a bus accident lawyer in Denver for further explanation.If you have been involved in a car accident or if your vehicle was involved in a collision — even if you weren’t in the crash yourself — you might be facing legal consequences. For more information or for assistance in navigating the legal industry, contact The Law Office of Richard Banta, P.C., to speak to a Denver CO bus accident lawyer today. There are many types of buses on the road – public buses, school buses, and private buses. There are also a lot of bus accidents on the roads. According to national statistics, there are more than 60,000 bus accidents that occur on American roads each year. There are major differences in how different bus accident claim are handled when a victim is injured. If the bus is owned by a private bus company, then the claim is filed with the bus company’s insurance company if the fault of the accident is with the bus driver and not another driver. 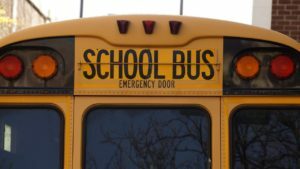 However, when the bus is owned by a public entity, such as a city, town, or school district, there is an entirely different – and often complicated – process for filing an accident claim. The procedure itself will likely vary depending on which municipality owns the bus. A Denver CO bus accident lawyer from The Law Office of Richard Banta, P.C. is well versed in what those procedures are in Colorado. Generally, before an accident claim or injury lawsuit can be filed, the victim needs to file a notice of claim with the government entity that owns the bus and employs the bus driver who caused the crash. A statement from the victim which declares their intent to pursue compensation for the injuries they sustained as a result of the negligence on the party of the agency or entity or caused by an employee or agent (i.e. the bus driver) of the agency. Details of the date, time, place, and circumstances of the bus accident that resulted in the injuries and filing of the claim. Details of the victim’s losses that their bus accident injuries caused. Each government entity has its own statute of limitations for filing an injury claim and some may even require the claim be filed on a form they provide. Your Denver CO bus accident lawyer will know the process the particular entity or agency involved in your bus accident requires. For example, a city may require the victim file their claim within six months of the bus accident. They will then decide whether to accept the victim’s claim or reject it. If they reject it, then the victim can move forward and file a bus accident lawsuit. Although a bus accident victim may think the process of filing the notice with the municipality is a simple one, it is critical to realize that if the victim misses a deadline, uses the wrong form, or doesn’t include the correct paperwork, they may lose their right to even file an injury lawsuit. This is why it is a good idea to discuss your case with an experienced Denver CO bus accident lawyer. It is also important to remember that these rules apply to all injured bus accident victims, whether they were passengers on the bus or whether they were an occupant in a vehicle (either driver or passenger) that was hit by a bus. To learn more, contact a Denver CO bus accident lawyer from The Law Office of Richard Banta, P.C. today. We can discuss your legal options and ensure that your claim is handled properly to get you the financial compensation you deserve.